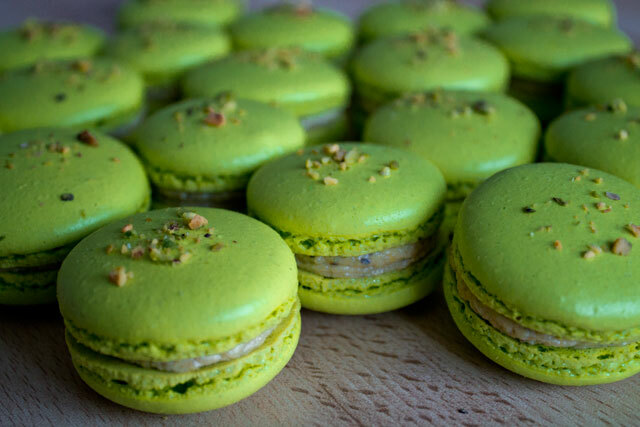 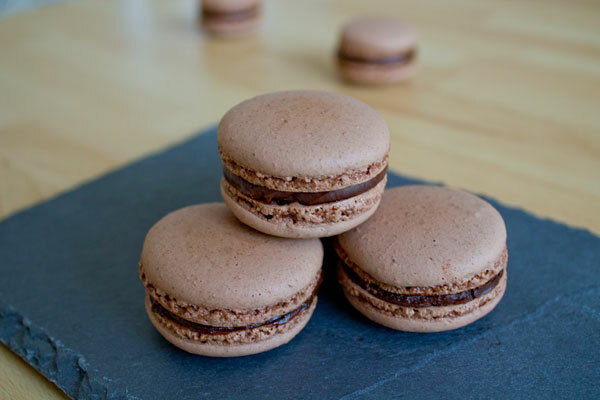 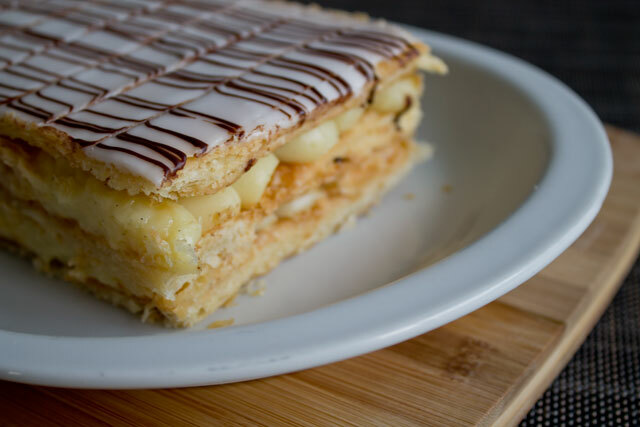 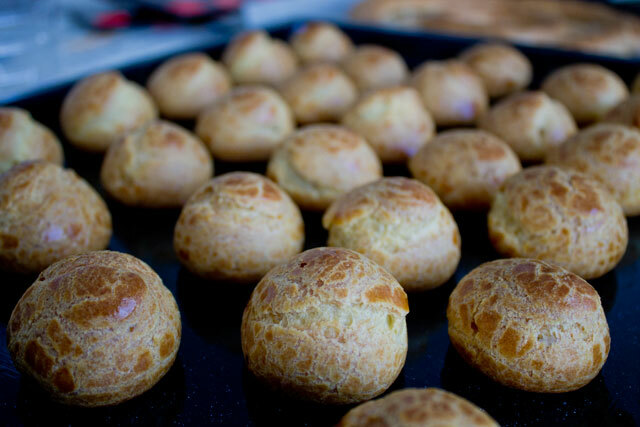 I had seen them in every single bakery, in all sizes and flavours, ever since I was born… and I would never have imagined that one day I would have been able to make them! 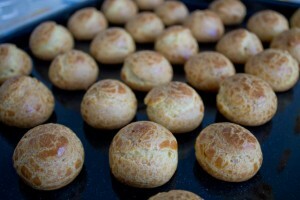 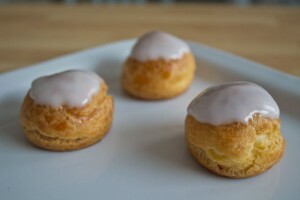 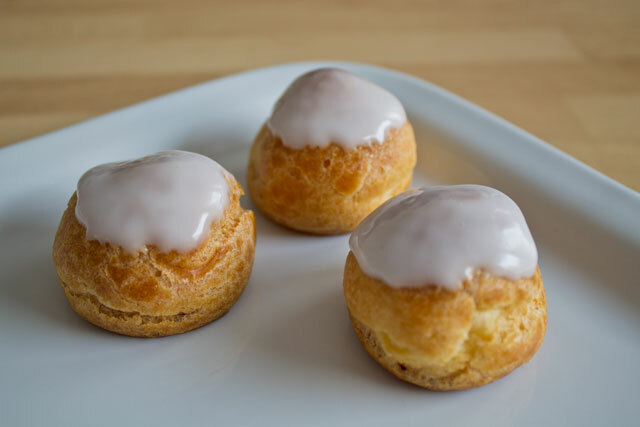 Cream puffs (called “choux” in French and “bignè” in Italian) are small round pastries traditionally filled with cream and glazed with fondant. 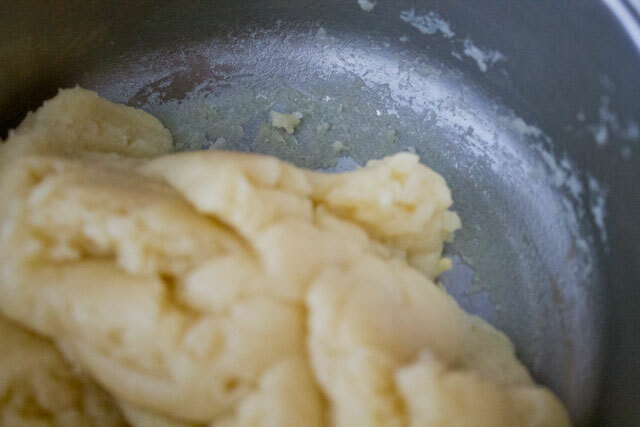 When I was a pastry illiterate, I had no idea what fondant was like nor how to make it. 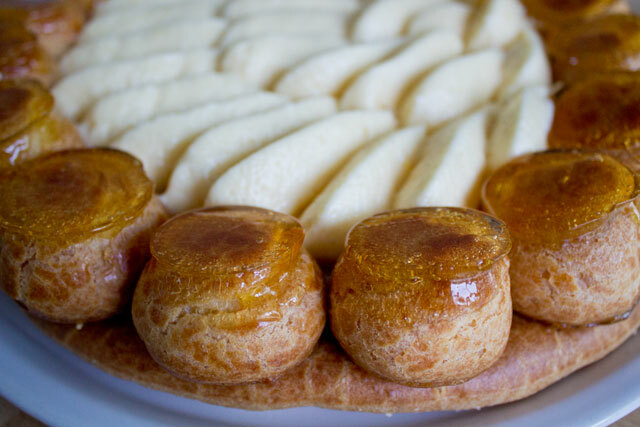 Now I still don’t bother to make it (like many pastry chefs), but at least I know that I can buy 1kg for like 7€ in professional shops or online! 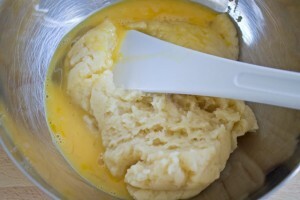 It is therefore very easy to get fondant, but it’s not that easy to use it. 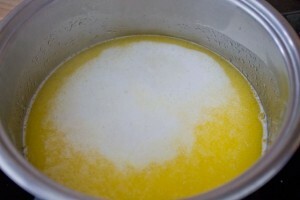 It must be heated gently with a spoonful of water to a very specific temperature (35°-37°C) and it must not be too liquid. What I propose here is a very traditional recipe, but of course you can spice it up by adding any flavouring to the cream (rhum, chocolate,…) and colouring the fondant accordingly. 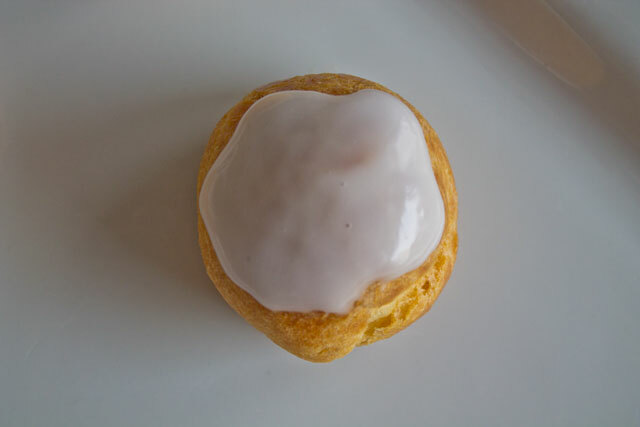 If you want to have more information on the two main components of this recipe, you can read my articles on pâte à choux and pastry cream. 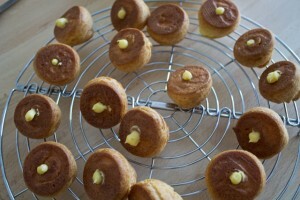 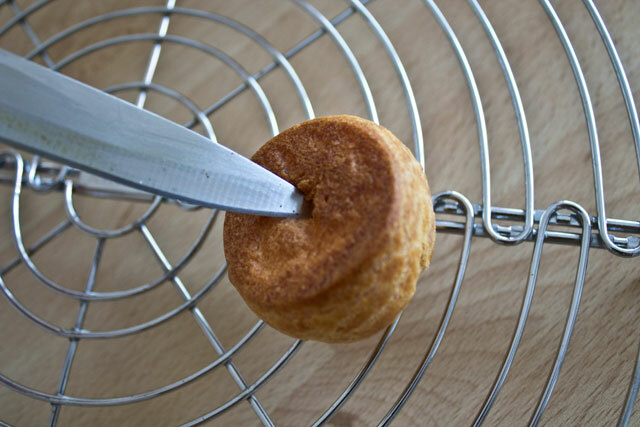 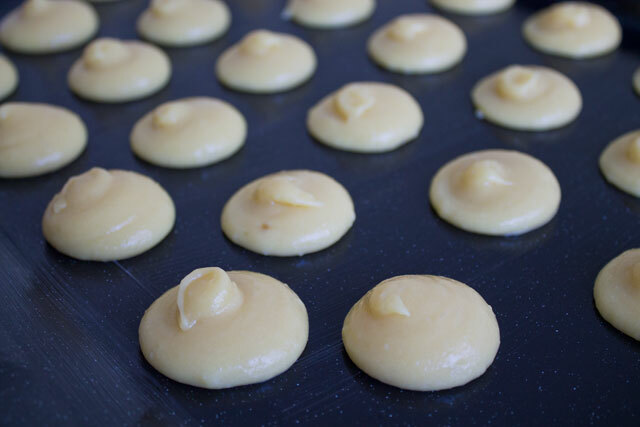 Fill the choux with a piping bag. 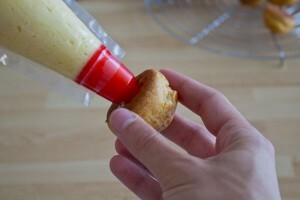 Fill them until they become "heavy" in your hand, but not too much, otherwise they might crack. It is normal if a bit of cream comes out of the hole in the choux. 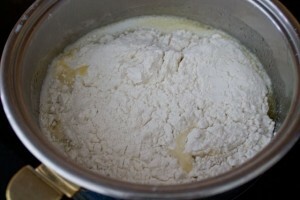 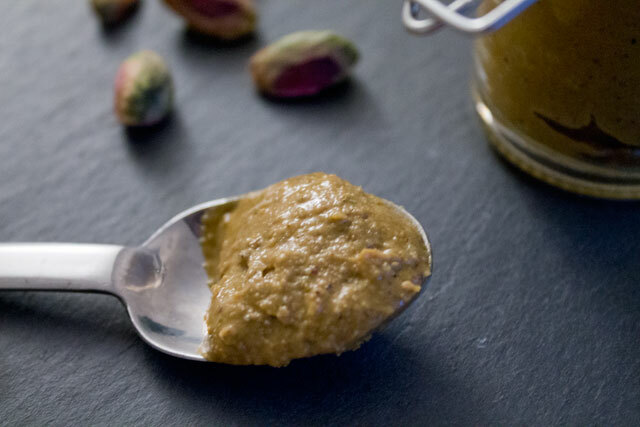 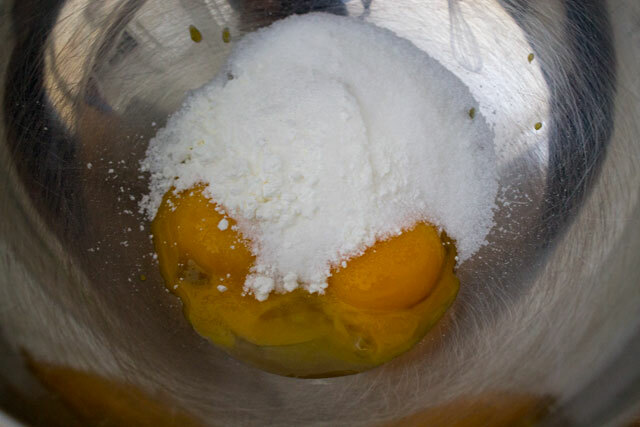 If it really is too much, clean the excess with a teaspoon or paper towel. 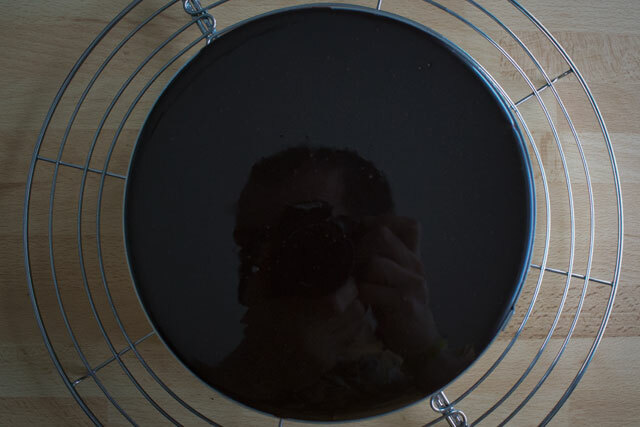 Slightly heat the fondant on a bain marie with a spoonful of water (it should definitely not be too liquid). 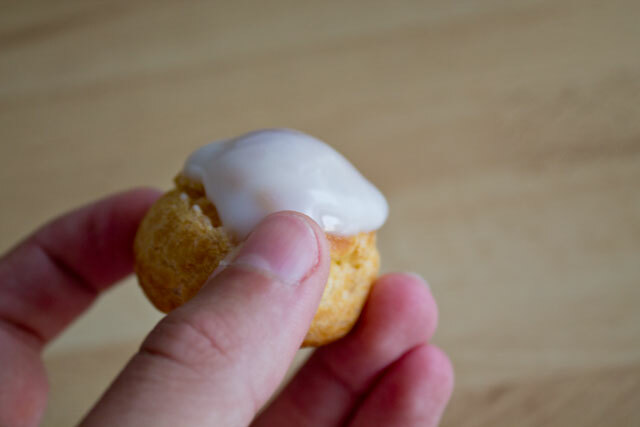 The ideal temperature is between 35° and 37° C.
The cream puffs can be stored in the fridge for up to 2-3 days, but be careful since the cream might make the choux soggy. 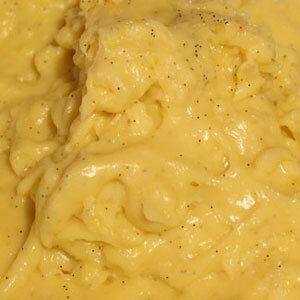 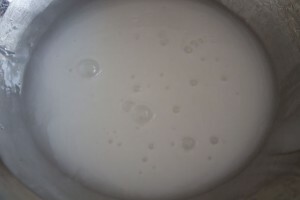 Creams with milk and eggs are very perishable and must therefore always be stored in the fridge until use. 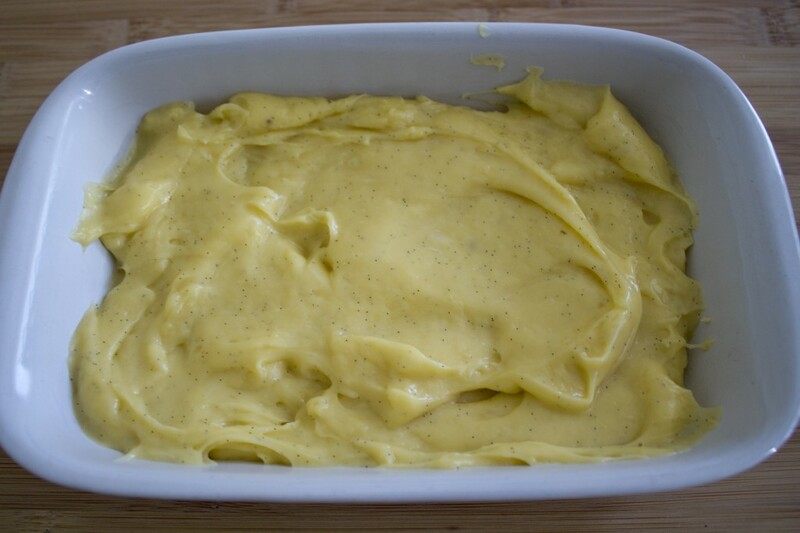 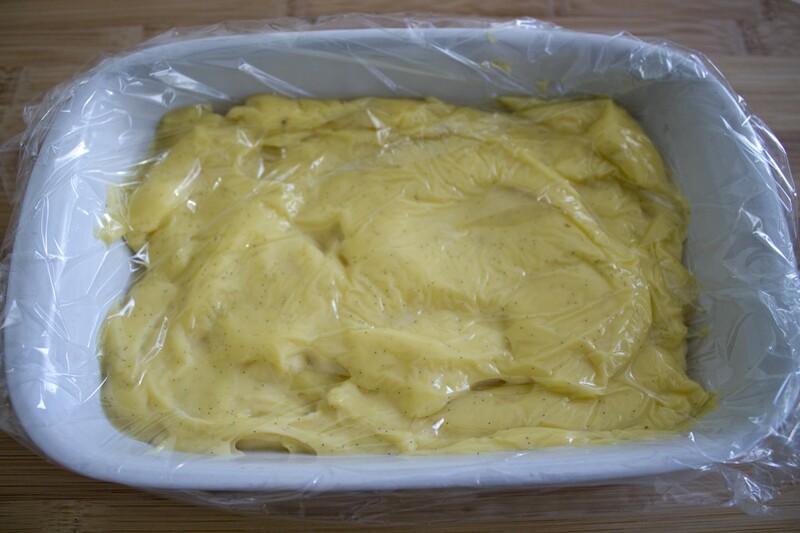 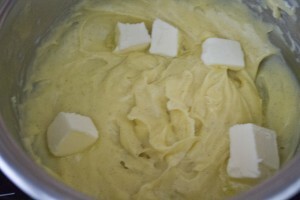 As soon as a pastry cream is prepared, its temperature should drop to 1°-4° C in the shortest amount of time to prevent bacteria from forming: for this reason, the optional steps 6 and 7 provide a way to chill the cream in a fast way: spreading the cream on a thin layer in a plastic wrap will chill it quickly and will prevent a thick skin from forming. You must be careful when you mix the hot milk with eggs: at all times there is a risk of curdling (you don't want scrambled eggs, do you? 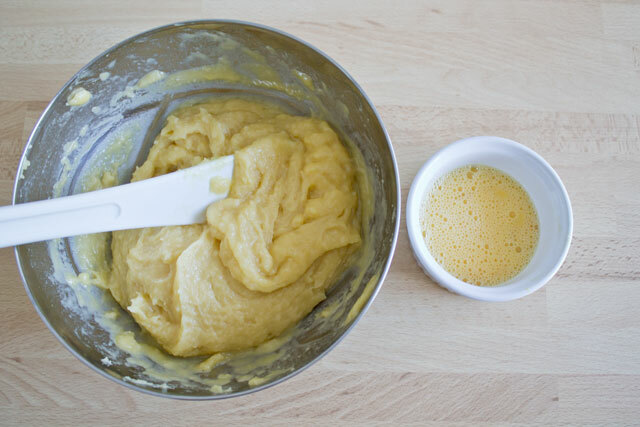 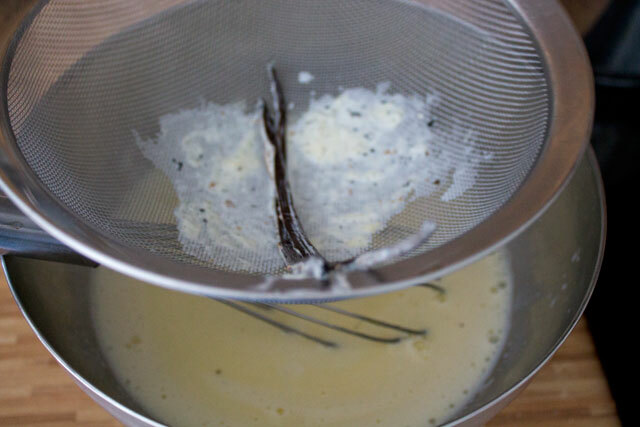 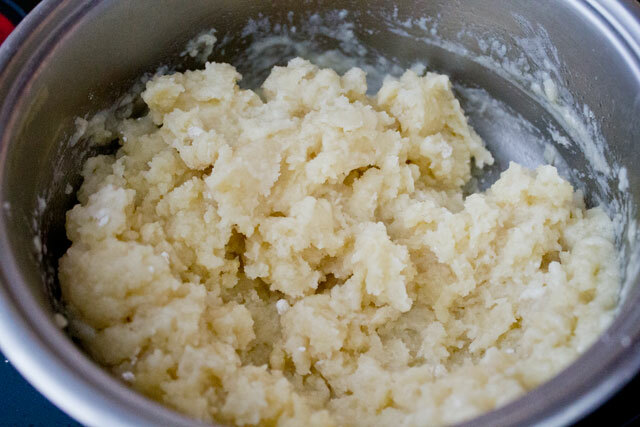 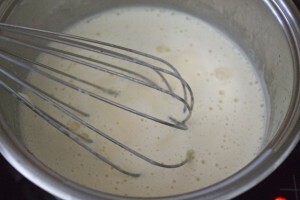 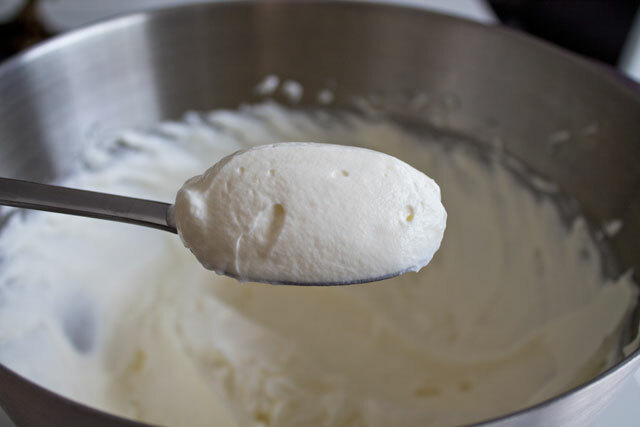 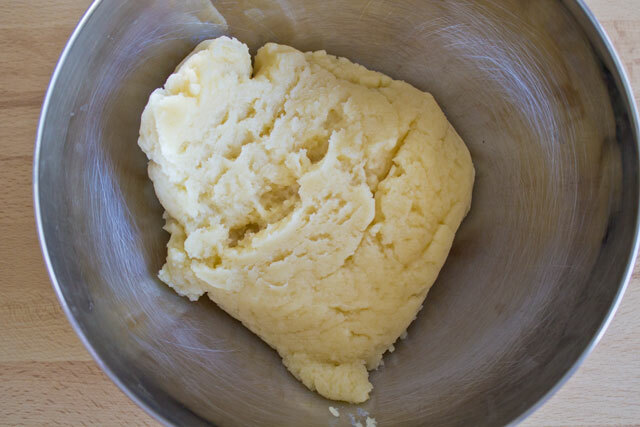 ), so make sure you whisk vigorously and constantly. 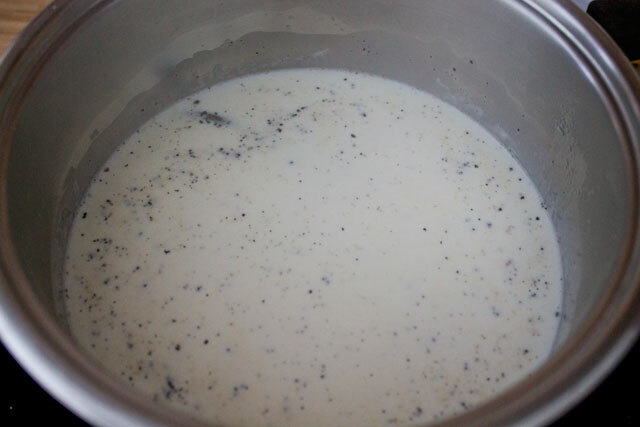 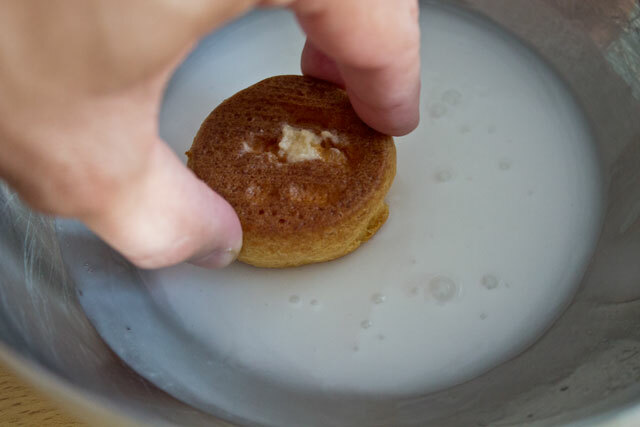 The milk should come to a boil relatively slowly: it is important to let the vanilla bean infuse, so the longer the time, the stronger the flavour.